One year ago today I rejoined Facebook after taking a 1-year hiatus. I decided it had become a negative source of energy for me, and a distraction that kept me from planning and reaching my goals. 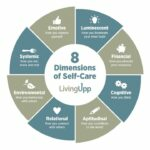 Fortunately, I discovered it wasn’t as difficult as I imagined, and the time away helped me understand there’s a delicate balance between participating in real life and interacting with others virtually. I now believe there’s value in both. Today, more and more people are rejecting social media in an attempt to squeeze more out of real life. At some point, most of us have at least wondered once or twice if the emotional drama that comes with this watered-down form of connectedness is even worth it. In fact, I know several people who have chosen not to participate at all, and have been happy with that decision for years. Some days I still have mixed emotions about my decision to rejoin the platform. Sometimes I wonder if I’m addicted to checking status updates, or if it’s simply a habit of convenience (or boredom). I do know that I enjoy staying connected to my friends and family. I like seeing photos of loved ones and their travels, and I want to be there to support them when they need help working through life’s challenges. But all of that requires my participation. The reality is that social media isn’t always a very friendly place. It’s rare these days to share an idea without being criticized or belittled, ghosting is becoming more common, and the anonymity factor that comes with online interactions seems to make people bolder, less caring, and in some cases downright nasty. Ultimately, I’ve decided it’s worth the risks. I can choose not to respond to negative comments. I can choose to shower others with kindness when I notice that someone is trolling them. And I can stop participating any time I want to. How do you set boundaries around the time you spend on social media? Need help setting some healthy boundaries of your own? Join the Mastery Program now. This entry was posted in Self-Care Activities and tagged cognitive, relational.